DARMSTADT, Germany – Jan. 23, 2019 – TE Connectivity (TE), a world leader in connectivity and sensors, has won a contract to supply high-voltage roofline components to Stadler for a total of 58 electric and bi-mode FLIRT trains ordered for Greater Anglia’s network. TE is supplying the majority of roofline components for the FLIRT trains, including cable assemblies, which ensure reliable transmission of power from the pantograph to the traction transformer and is therefore essential for train operation. High-voltage electrical transmission systems on train rooflines must be able to operate reliably in conditions that include mechanical shock and vibration, rapid air flows, rain and other environmental factors. TE’s equipment has demonstrated high levels of reliability, supporting Greater Anglia’s operational objectives. TE is also supplying labelling and identification products for the trains that is able to remain in place and legible for decades, helping to ensure efficient maintenance operations. The contract for high-voltage products is TE’s latest success with the Stadler FLIRT platform via Swiss engineering firm Splicetec. Other contracts include supply of roofline equipment for FLIRT trains for Serbian Railways, Belarusian Railways, GySEV in Hungary, ETSW in Germany and Südostbahn in Switzerland. 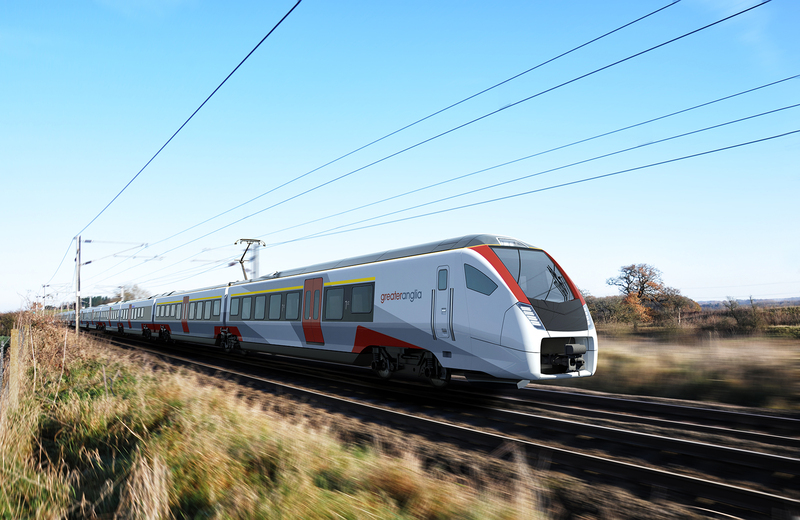 As an operator, Greater Anglia is replacing its entire fleet with 169 new trains, with 58 Stadler FLIRT and 111 Bombardier Aventra trains. TE’s high-voltage equipment will be installed on all of these. For more product information, visit the TE website.